Here’s something I didn’t expect to say coming into today: Verizon may have introduced the best Android Wear 2.0 watch today. It’s OK if you think I’m crazy while also not knowing what I’m talking about. You see, Verizon, mixed in with its announcement for the LG Watch Sport, announced its own Android Wear 2.0 watch to be released in March. The device sounds really, really promising, especially if you wish LG and Google had found a better middle ground between the Sport and Style. The device is called Wear24. It’s LTE-equipped, has NFC for Android Pay, and costs less than the Watch Sport at $299 with a contract. It also features a 1.39-inch AMOLED display (290ppi), 450mAh battery, IP67 dust and water resistance, and a 42mm case with 13.5mm thickness. 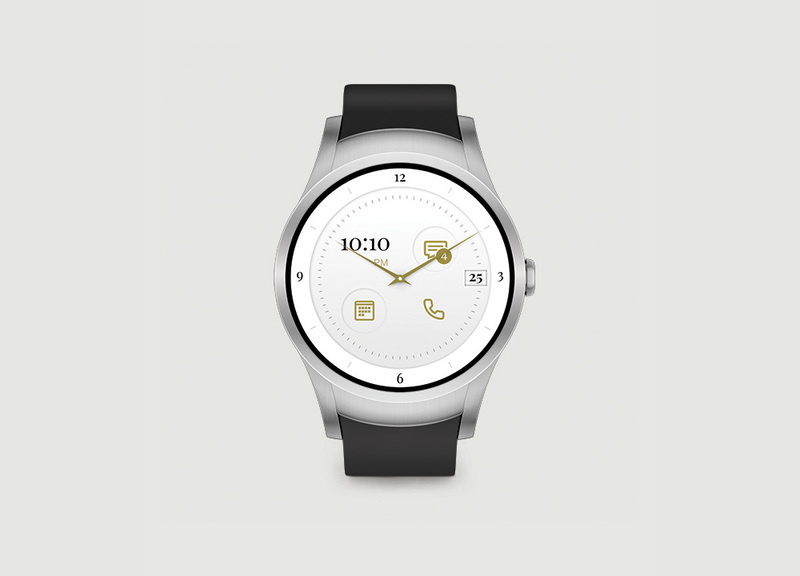 NOTE: According to Verizon’s site and sales reps, this watch doesn’t have NFC. We were initially told by Verizon that it did, but no longer believe that to be the case. So it has the same display size (lower resolution, though) as the Watch Sport, bigger battery, similar water and dust resistance, and a much more manageable 42mm case size that won’t look like this on your wrist. Verizon is including a special watch face that you can setup to automatically change based on where you are, as well. The device also looks quite elegant instead of sporty, with its classic design. If you don’t want a watch with extra pushers and buttons that fits on your wrist properly, yet still features the latest in wearable tech, this Wear24 device could be something to consider. It certainly seems like it could be a good fit for those disappointed in the Watch Style and its lack of features, but aren’t willing to go behemoth mode with a Sport. For those wondering, Verizon made the device in partnership with Quanta, an original device manufacturer. Again, Verizon tells us to expect the Wear24 in March at $299 on a 2-year contract.